As you know e-readers or electronic book readers are used for reading electronic files stored as books. There are a lot of ebook reading devices that you can choose including Amazon Kindle, Sony eReader, Barnes & Noble Nook and Kobo eReader. So, it is quite reasonable to encounter dilemmas when it comes to selecting an e-reader. Through this post, we shed light on some factors to be considered before finalizing the eBook reader for you. Being able to share the contents from a device to another easily is what most of the customers long for. As an eBook conversion company, we are inquired about the ways via which this transfer can be done. There are various means including Wi-Fi, USB, 3G internet connectivity and Memory Sticks etc. It is obvious that more connectivity means better share-ability. Content comes in diverse formats including text formats, graphics and picture formats, audio and video formats and web pages. Sizes also vary a lot for different content types. An ideal device, in general, must support maximum formats and the storage capacity should be higher. The way content is displayed on a device directly impacts the reading experience. Different types of displays are: CRT, LCD, TFT and e-Ink etc. If your eBook is meant to display videos and heavy graphics, LCD is preferred. Else if text only needs to be displayed, e-Ink would serve the purpose. Any professional company offering eBook conversion services can surely guide you in selecting the device. Many popular eBook reading devices offer in-built memory of up to 8GB along with an option to expand it further up to 32GB by using a removable memory card. High eBook reader storage space is now an inevitable feature; users prefer digital contents over the hardcopy and hence need an eReader that can store hundreds of e-books and audio books which can be accessed without much effort. Carefully check the e-book storage capacity before you buy one. Nowadays, eBook reader devices which are button-controlled, touchscreen enabled and with a combination of both these features are available. Less power requirement and enhanced accuracy rate are stated as the advantages of button-controlled devices but the difficulty to use make them less user-friendly and the touchscreen versions are more preferred. However, they use more battery power and have increased vulnerability to smudge. 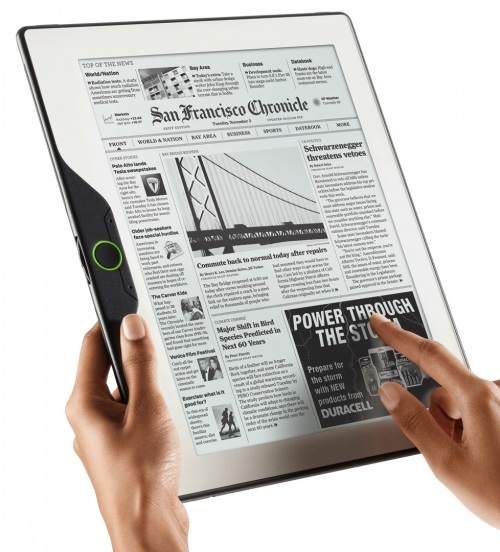 For ink-based displays, one with touch screen interface is regarded as most compatible e-book reader. Certain versions present in today’s market have both button and touchscreen compatibility. Direct access to the e-book stores is one of the attractive ebook reader features, but it varies according to the type of device used. The best example is Kindle, having direct access to Amazon digital bookstore. It provides more convenience in selecting document and enables a user to get updated and read most recent bestsellers. Check with the ereaders reviews for the different options to know more about their accessibility feature. Even if your device is not supporting this feature, you can still view e-books on the device but it needs to be downloaded on a PC first. Free sources like Project Gutenberg can be relied upon as a good platform. When one intends to buy an eReader, he compares the cost with its similar variants. Earlier, it was priced far more than what a tablet costs now. But currently, it has become cheaper and many industry researchers and analysts opine that a widely accepted price tag is $99. Almost all popular and in-demand readers cost closer to this. However, there may be slight fluctuation for ebook reader price in India. These days web is the source for any type of content. EBook conversion is getting preference also because of its ability to communicate and synchronize with other devices. In fact, the majority of the content is derived from the web. So, the device regardless of the manufacturing company is expected to assure downloads with higher speed and greater bandwidths. There are several other factors to be taken into consideration such as hardware components used, screen effectiveness, weight, portability, and comfort offered. Follow our blog to stay updated about latest strides in eBook conversion industry.